This video demonstrates how to re-calibrate the Keiser M3 indoor cycle display without a calibration tool. Now the display should show a "1"
This video will show how to align the fan cage on a Schwinn Airdyne AD6 to fix a rubbing fan. The fan cage is bent or the mounting is off due to loose hardware or damage to the cage. If you have recently relocated your bike this is the most likely fix for your bike. Bad axle alignment in the frame causing the fan to be crooked inside the frame and fan cage. This video will address fan cage issues. For more about axle alignment issues see our video about how to align the Airdyne 6 fan axle. If the rubbing is minor or the fan cage has visible damage you may be able to bend the cage out of the way as shown in the video. Make small adjustments to the ribs until you have clearance for the fan. In some cases you may need to loosen the cage hardware and align it around the frame. You will need to remove the shrouds from both sides. There are six Philips head screws in each shroud. Remove the upper center screw last to easer removal of the shrouds. Make small adjustments to the fan cage and test until the problem is fixed. Re-attach the cage to the frame. To ease shroud installation put the pedal in the position seen in the video on each side. Put the shroud in place and install the top center screw first to make installation easiest. 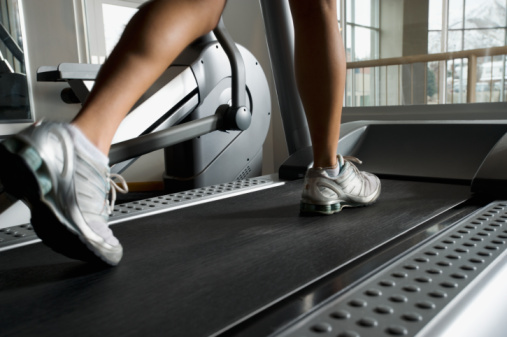 With a treadmill, one of the most common issues people experience is a belt that's slipping. There are a few reasons this might happen. Luckily, there are also a number of fairly simple ways to fix this issue that you can do on your own, without calling anyone to service the machine. 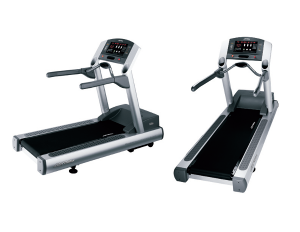 There are actually two belts on a treadmill - there's the belt most commonly talked about which is the walking / running surface of your treadmill. And then there's the drive belt which connects from the motor to the front rollers. In this case, we're discussing the walking surface of your treadmill. There may be a few reasons why your belt is slipping. Before trying to figure it out on your own, or even with general instructions like these, you want to check the manual produced by the manufacturer of your machine. This is especially important if your machine is newer or still under warranty because the warranty may limit what repairs you can do yourself. Many warranties specify that only a repair service authorized by the manufacturer can perform certain repairs, so that's something to keep in mind before moving forward. Too Much Friction. In some cases, the belt may need to be lubricated because the friction may be causing the belt to slip. Be sure to check your owner’s manual for the compatible lubrication. Tension. Most often this is just a case of needing to adjust the tension of the belt. With use and age, the belt can naturally stretch, losing some of the tension and causing the belt to slip. There are a number of methods to correct this which we'll discuss in detail below. Drive Belt. In some cases, the running belt may be stopping because the drive belt needs to be tightened on some models. This can be performed at home, though you'll want to check your manual. This type of repair will usually void the warranty if there is one. If your belt is slipping, it's usually a matter of adjusting the tension. There are three different methods to repair this issue, which work on new belt installations as well as repairing existing running belts. The stomp test is a great way to test the retention on your running belt and repair an existing belt that's slipping. Check the rollers and underneath the belt to make sure there is no debris or wax buildup. Verify that belt centering is correct or true. Stand on machine and set to 3 mph. Attempt to stop the running belt from moving by bracing your feet on the running belt and your hands on the bar. If the belt slows or slips and the rollers are still moving, your tension needs to be adjusted. To do this, turn the adjustment tools on both sides of the rear roller to tighten, about a quarter of a turn to start. Repeat test and adjust until the rollers stop moving when you stop the belt. For most belt replacements, using calipers would be a preferred method. It can be done without gauges, though this does make the process slightly simpler. Gauges can also be used to adjust machines with existing belts. Using belt gauges or calipers, you're going to stretch the belt according to the manufacturer's specifications. This method is usually used on a new belt but can be performed on a machine where the tension just needs to be adjusted. In the case of an existing belt, you need to release the current tension before applying the gauges. In the case of an existing belt, release the current tension before proceeding. Using a tape measure, put two marks on each side of the belt, 36 inches apart in the length. Then adjust the side bolts on both sides to 36 and 3/16 inches. Test the machine and adjust if needed. There are a few reasons that your treadmill belt might start slipping. It could be a simple matter of age and use. A lot of activity on the machine or heavy running can also cause the belt to stretch faster than moderate use might. Armed with this information, you should be able to diagnose the issue. Some repairs may be more advanced than what we've detailed here and it's always advisable to check the manufacturer's manual before attempting any repairs. A leading cause of failure in fitness equipment is insufficient power to the internal components of a machine or no power at all. 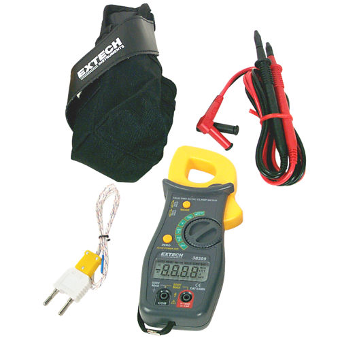 Knowing the basics of using a multimeter will be a great help in your troubleshooting efforts. Manual range meters are the most common, but auto range meters are easier to use. You need to set your meter to the correct setting, on manual range meters. The scale will adjust automatically to the necessary range for the values you wish to measure, on auto range meters. If your multimeter has settings or symbols different to the ones we discuss, consult your owner's manual to verify its ability to test the circuit you want to test. You need to know what circuit you are testing and the value you want to verify. Otherwise, you may damage the circuit or your meter. Never touch the exposed metal part of the probes or any metal surface that may be carrying a charge. “beep” and/or any value other than 1 on left of display. This test should be done while the circuit is disconnected from any source of power. Be sure the red lead is plugged into the continuity socket. If your meter doesn't have a continuity socket, use the Ohms socket. The black lead should go into the Com socket. Some meters only have two sockets. Connect Black to the Com socket, and connect Red to the other socket. If you cross the leads, the meter will show a low value or beep. This means there is continuity. It does not rule out the possibility of shorts. EXAMPLE: If you have a piece of wire that you want to test for breaks, this can be done easily using the continuity meter, you can test for breaks by touching each end of the wire with a probe. Suppose that same piece of wire is a wire loom, meaning several pieces of wire are inside the same insulator. You can use your continuity meter to check that the wires are continuous. You can also check for any shorts by touching both ends of any conductor. Touch both ends of each wire with your probes. You should hear a single beep or see a value displayed. To test for resistance; be sure the Red lead is in the Ohms socket, the black lead is in the Com socket, and the meter is set to Ohms. IMPORTANT: test the resistor with one end disconnected from any circuits. If you get a zero reading, check the setting on your meter, as it may be set to AC. You can check voltage without disconnecting it from the machine if you have a battery installed. To do this, probe the positive and negative ends on the battery. Set your meter to the AC Volt setting and range (one range above the reading you’re looking for). Insert the red lead in the “V” socket, and the black probe in the “Com” socket. Do not short the leads during testing. It will short the circuit and may damage your meter.